Shin Sung-rok is the next actor in our spotlight series. He’s currently starring in SBS drama An Empress’s Dignity which is just wrapping up a successful run. It also earned Shin Sung-rok the Top Excellence Award, bestowed mid-production, for his role as the fictional monarch of Korea. Here are some highlights from Shin Sung-rok’s drama career, followed by his full filmography. When I think of Shin Sung-rok in You From Another Star, the first thing that comes to mind is the nail ring. The ultimate signifier of plotting, deceiving, and calculating evil plans, Shin Sung-rok’s character fiddled with his ring constantly. It was obvious and funny, and almost unfair to Shin Sung-rok. He’s so good, he doesn’t need a prop to convince us that there is way more going underneath his blinding, artificial smiles. In You From Another Star, Shin Sung-rok played the hidden baddie to Jun Ji-hyun and her neighbor from the stars, Kim Soo-hyun. The drama’s huge success catapulted the entire casts’ career (even if they didn’t need it), and this role was definitely Shin Sung-rok’s making. The only downside to being a fantastic villain is that you’re a fantastic villain, and it’s hard to be seen as anything but. If you haven’t seen Liar Game yet, this is the perfect time to stop reading this article — and anything else you are doing — and start marathoning it. Adapted from the Japanese manga, Liar Game told the story of a real-life game show where contestants had to solve puzzles, riddles, and other challenges in order to advance to the next round and win reward money. The drama kept you guessing, round after round, as Shin Sung-rok engaged in a battle of wits with Lee Sang-yoon, Kim So-eun, and other contestants. Liar Game capitalized on contrasting the glittery world of the game show with the gritty struggles and a psychologically dense stories occurring behind the scenes. Shin Sung-rok played the MC of the game show for whom there was more at stake than you’d think, and this role was a perfect fit for his dynamic screen presence and his game show host character had that underbelly of cheesiness that he often deploys. This beautiful drama completely captured me and was one of those special dramas that has stayed with me long after it ended. In On the Way to the Airport, Kim Haneul played a flight attendant in a completely stifling marriage to the jerkface pilot played by Shin Sung-rok. Being married to a controlling, cheating, and pretty unlikeable man such as Shin Sung-rok’s character in this drama is no reason to cheat back — but On the Way to the Airport spares no expense drawing a parallel between Shin Sung-rok’s character, and the soulful dreamboat played by Lee Sang-yoon. Kim Haneul, understandably, is caught between these two. The story is subtly and beautifully told, and Shin Sung-rok shows off the strong and domineering side of his usual baddie. This drama also reunited him with Lee Sang-yoon as competitor/nemesis, though they didn’t face off quite to the same extent as in Liar Game. I hate to see Shin Sung-rok typecast as the baddie… But he’s so good at it! I don’t think I’ve ever enjoyed him more than in An Empress’s Dignity. I might have come to the show because of Choi Jin-hyuk, but his performance has nothing on Shin Sung-rok’s (it’s not his fault, he just has a lot less to work with). In his role as the fictional Emperor of Korea, Shin Sung-rok has pretty much the perfect platform for everything he does best: that balance of conniving, creepy, and controlling, to the most cheesy and comedic. Starring opposite Shin Sung-rok is Jang Nara as the commoner he gets strong-armed into marrying, and Choi Jin-hyuk, his trusted bodyguard who’s secretly plotting (and slooooowly carrying out) revenge. This drama is action-packed and holds your interest while covering a ton of territory in a single episode. I feel like I’m getting the experience of watching a makjang weekend show, without actually having to commit to 100+ episodes (or admit to myself that I’m watching one). Early drama starring Jo In-sung as the hero who struggles to become an actor, and Jeon Do-yeon as the manager who helps him get there. Shin Sung-rok has a supporting role in this, his TV debut. Shin Sung-rok has a small side role in this daily drama based on a Korean folktale that stars Yeon Jung-hoon, Kim Tae-hee, Lee Dong-gun, and Kim Ji-hoon. Box office hit and romance ensemble (including Uhm Jung-hwa) wherein Shin Sung-rok has a supporting role as a basketball player. Shin Sung-rok has a supporting role in this story of four single men in their 30’s. Shin Sung-rok plays the second lead role in this drama where Jang Hyuk‘s life is changed when he meets a single mother (Gong Hyo-jin) and her daughter. Shin Sung-rok had a role in this one-episode KBS drama special. Yeom Jung-ah and Tak Jae-hoon are best friends who wind up marrying, only to be lured apart by new love interests in their lives. Long-term but noncommittal lead couple played by Kim Haneul and Yoon Kye-sang are tempted by Shin Sung-rok and Cha Hyun-jung, respectively. OCN romance drama short (really?) with Shin Sung-rok, Park Soo-jin, and more. Eugene is the mom, and Shin Sung-rok is one of the possible dads. Weekend family drama about three siblings and their love lives. Hit weekend family drama about a divorced couple who meet again as neighbors. Shin Sung-rok plays the second lead. Kim Da-hyun and Shin Sung-rok star in this mystery thriller about high school friends whose mutual crush is murdered. Gong Yoo and Im Soo-jung star in this rom-com about re-finding first loves (or not). Baseball drama, on and off the field, with Kim Joo-hyuk and Kim Sun-ah. The ring-twisting villain role that’s considered his big break (see above). Shin Sung-rok’s first project post-You From Another Star craziness that also stars Ji Hyun-woo and Jung Eun-ji. Mind games, more mind games, and awesome actors (see above). Shin Sung-rok plays the face reader and power behind the throne to Seo In-gook‘s Prince Gwanghae. Beautiful drama in which Shin Sung-rok plays the completely unlikeable husband who enjoys shipping his daughter off to foreign countries so he doesn’t have to deal with her (see above). Period action thriller about the Japanese resistance starring Song Kang-ho, Gong Yoo, Lee Byung-heon, and more. Choi Min-soo plays a South Korean returning home from the Middle East to reconnect with his daughter (played by Kang Ye-won) and his son-in-law (played by Shin Sung-rok). Kim Rae-won enters an incredibly corrupt prison to find out the truth behind a crime. Shin Sung-rok stars with Lee Jin-wook in this drama that was successful and well-received, but mostly remembered for the blowout, and then bow out, of Go Hyun-jung in the lead. Shin Sung-rok is currently tearing it up as the Emperor from your worst nightmares, but he can’t hide how much fun he’s having with the role, and it makes him a pleasure to watch (see above). Shin Sung-rok is in the new Lee Seung-gi and Suzy drama! I knew it, but I also forgot it in my initial round of anticipation for this action thriller. Wonder what the chances are that he plays the baddie? YASSSSSSSSS THANK YOU FOR THIS. Why do I love his character (hereby nicknamed as Royal Hotness or RH by us beanies) even though he's an attempted murderer? He seems to be having the best time filming his character in TLE. Thank you for spotlighting the Emperor of Instant Coffee ppl, His Royal Hotness. Not that I wish type-casting on anyone, but Shin Sung-rock does do charming psychopath so exquisitely that I can't complain. However, TLE has also revealed his goofy rom-com side, and hopefully he will be able to take advantage of it in a project soon. 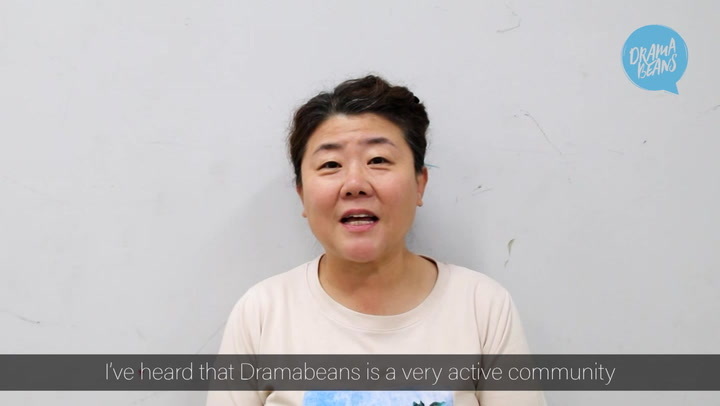 In the meantime, can Dramabeans sponsor a showing of one of his musicals? Or at the very least an album, because his voice is divine. This beautiful drama completely captured me and was one of those special dramas that has stayed with me long after it ended. So I guess he did have a lot of non-baddie roles, but the ones that are most popular are his baddie roles. I guess typecasting isn't all bad. Currently I'm going through King2Hearts in my spare time, inspired by the modern royalty of Last Empress, but after that I'll put Liar Game on my list next! Sometimes I wonder if DB staff is paying attention to Beanies fanwall. Now I am certain they must be! How else would they have known the love going off for SSR on the Fanwall and here he is?! hahahah Thank you @missvictrix for fan service lol!! If being type-cast gets you lots of major roles then it is not a bad thing. I loved him in One Mom and Three Dads (2008). I understand he is best at playing the bad guy, but I wish I could see him as the lead (a good one) so that I can fancy him. Interestingly, I don't find him either attractive or non attractive. I suppose, it depends on his character. And that is very good in an actor... that he becomes what he portrays. I think when he is playing good, he looks very handsome. But in general, he has a very enigmatic aura. Yup, he’s married and has a young daughter. You can google their wedding photos, adorbs. @poliwag thank you so much for those links! the more i learn about him the more i love him! he is a fantastic actor. I hope he will reunite with Jang Nara in a romcom someday. My thoughts exactly! I'm trying to watch the first episode of Legal High, and it is good except for the male lead. The sweet female lead is doing a solidly good job, the story is interesting, but it seems like the male lead is in another drama. He overacts and comes across as very cartoonish. SSR would've pulled the role very well, and he'd have mixed serious/natural with eccentric without coming across as cartoonish. I loveeeee SSR so much. Baddie or goodie, he has me enthralled. I love his everything: his eyes, his eyebrows, his hair, his nose, his height, his leaness, his hands, his fingers, his lips, his teeth; I love his sadness, his hurt, his sweetness, his coolness, his rage, his regret, his remorse. I love him. Period. he had me at his lovely expressive puppy eyes! SSR has a unique aura and strong screen presence. He excels at playing psycho characters. Yes he makes a great anti-hero, but I wish he would play an enigmatic romantic male lead someday. I know beanies are fangirling over him in "An Empress Dignity", but I don't know if I can bring myself to pick up that WTF drama (couldn't get past the first ep)... just too crazy for me hehe. I will checkout "On The Way To The Airport" and "Liar Game". I wonder if "The Art of Seduction" and "Lovers of Six Years" are available English subbed? Kyaaaaaa!!!! Shin Sung Rok! I love him. I just do. All thanks to Royal Hotness Lee Hyuk. I am currently on the way to finish Liar Game and Return. He is exceptional in both. He is deliciously cray and does act so well as the villain. I remember wanting to smack him hard in the early eps of TLE, along the way i want him to be saved. My moral compass thrown away. Hahaha. But the latest ep just affirms that Hyuk like Oh Tae Suk in Return is not meant to be redeemed at all. Evil is in his blood. It takes a lot of charm to make Hyuk likeable. To me his antics, livecam with sunny, coffee, dyson, bunny hat ppl arc were also part of the drama highlights together with the royal family crayness. Until TLE, I had only seen him in MLFAS, and I was (appropriately, I feel) creeped out by him in that show. But TLE has really showcased this man's genius, and I am loving it. Such a gifted actor. Looking forward to watching him in some of these other things soon! This really makes me want to rewatch Liar Game ! I wish to see him in a romantic leading role soon. Meanwhile, looking forward to Vagabond. I really enjoy him in his bad guy roles. He's really good in "The Last Empress". Agree with missvictrix that he's outshining Choi Jin Hyuk because he has more material to work with. He's zany in certain scenes and brooding in others whereas Choi's character is just broody the whole time, no humor, bent on revenge. First, I would give Mr. Shin a bear hug (or the Korean equivalent). Then I would ask him how do he cope with the constant roles as the antagonist... does he have a support group like Wreck it Ralph?, or does he support a philantropic institution?. I saw Shin Sung-rok initially in Thank You being somewhat somber and then being hilarious in One Mom and Three Dads. It was years later when I saw him again in You From Another Star and I couldn't believe it was the same actor! Whether he's playing it for laughs or displaying a villainous streak, his performances are always memorable. Actually, you also missed out his awesome villainy role in The Return. He was so hateful.......But he's a riot in comedies, from the little we've seen in The Last Empress. He was also in a recent comedy but i forgot the title. I think he's great and I would looooove to see him in a rom com or comedy because I think he's got great timing and has no fear of being a goof. That said, he always seems like the hot KDrama Vincent Price (if you adjust for acting styles of the era) when they have him playing a creeper. Which is a good thing as far as I'm concerned.